For decades Jon Thau has handled a wide array of sophisticated commercial litigation and arbitration proceedings, both in New York and, through affiliations with local attorneys, proceedings throughout the United States. Jon was a commercial litigation partner for a national law firm for a decade, and then co-founded and co-managed for approximately twenty years a premier litigation boutique. Jon has particular expertise in matters involving the financial services industry. Over the years Jon has defended hundreds of sales practice complaints, and handled a number of sophisticated regulatory matters. In addition, Jon is well known for his expertise in helping financial services professionals transition between investment firms. Jon has assisted several thousand financial advisors in successfully transitioning their practices between firms, and also has represented securities firms seeking to enforce contractual rights against departing financial advisors. 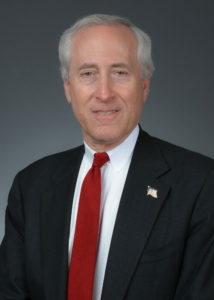 Jon graduated from Cornell University’s College of Arts and Sciences in 1977, and Cornell Law School in 1979, where he was an officer of the Cornell Law Review, and the only member of his graduating class to publish two law review notes.